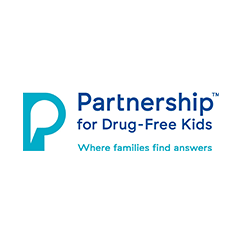 At Partnership for Drug-Free Kids, we educate parents through our communication campaigns and web resources. We directly help parents of young people struggling with drugs or alcohol via our toll free parent helpline (855-DRUGFREE) and peer-to-peer parent coaching program. We inspire young people to make positive decisions to stay healthy and avoid drugs and alcohol. And we help build healthy communities through advocacy for youth prevention funding and adolescent treatment/recovery support.